A fairly long and challenging par 5 with water all the way down the left and also coming into play down the right. Note a ditch runs across the fairway, so check your yardage books and the wind direction. 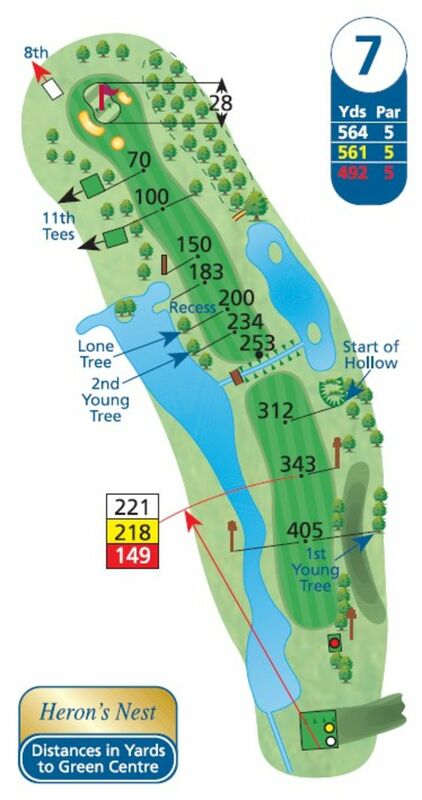 The bigger hitters, certainly, should think twice about hitting driver and this is one long hole where you should forget trying to reach the green in two and instead position your second to the optimum yardage to get close to the flag with your third on this tricky two-tiered green.